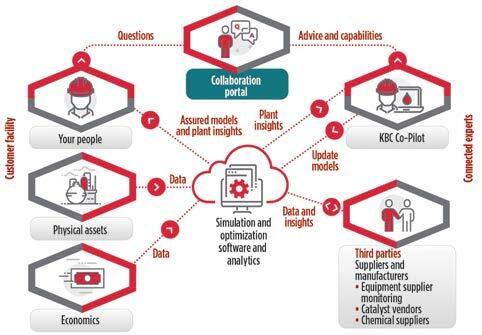 In process manufacturing, real-time optimization employs thermodynamic models which integrate big data to simulate and optimize plant data and develop optimal setpoint targets. 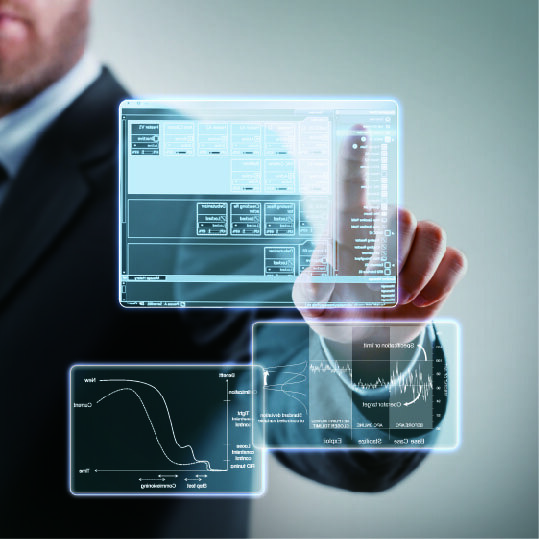 After a feasibility study, TOTAL decided to test an on-line model for site wide energy system management. 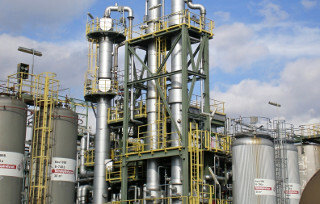 TOTAL operates a large and complex energy system at Feyzin refinery. A detailed model of the energy system has been built and it is continuously fed with validated (not reconciled), real-time data. It includes all the actual constraints of the site and decision variables for their operation. The global refining industry is constantly evolving and responding to new crude supplies and sources, more stringent fuel/product specifications, perpetually changing demand patterns and other global and regional trends. 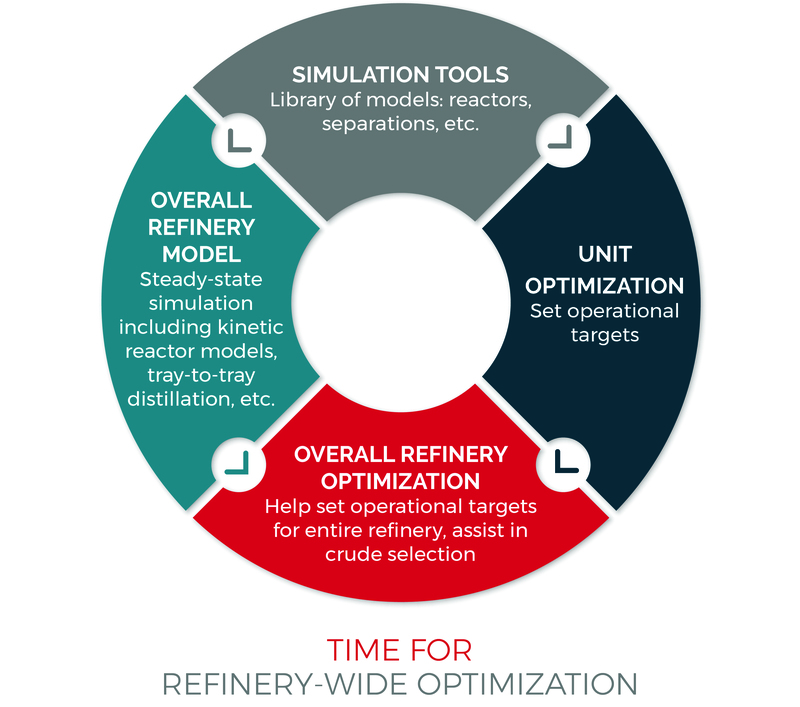 Increased competition from large, efficient refineries is forcing small- to mid-sized refiners to rethink their strategies to remain competitive. 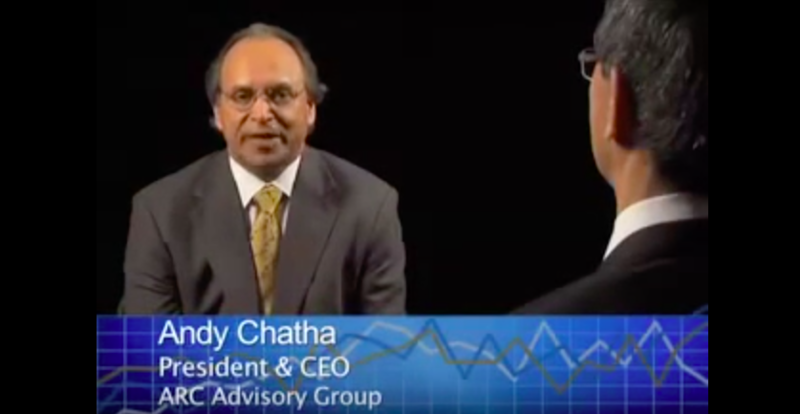 Increasing oil prices are reducing the relative feedstock and energy costs advantages refiners and petrochemicals producers have recently enjoyed. Allied with the high cost and growing scarcity of skilled staff, a fundamental shift in mindset towards plant operations and maintenance is required to assure organizational resilience. Therefore, the desire to achieve enhanced cost structures through innovation in operating models and digitalization has intensified.